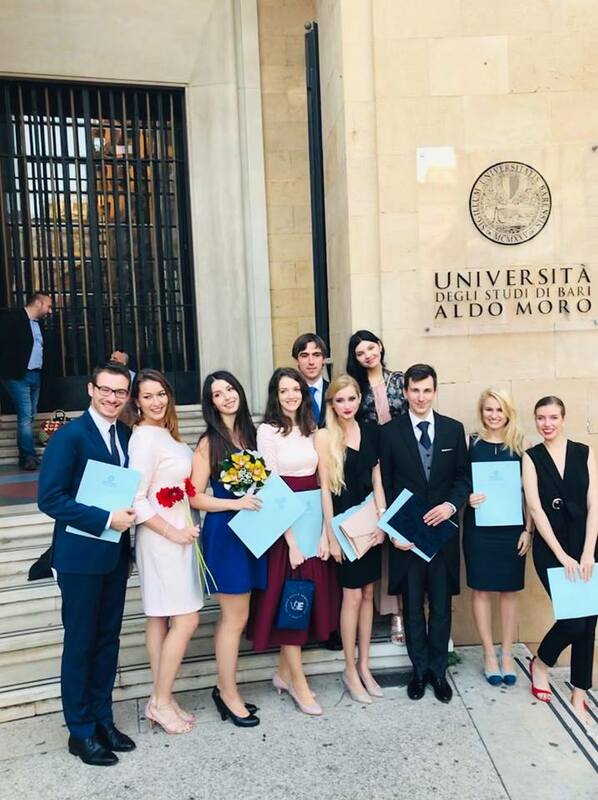 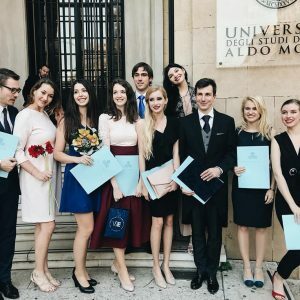 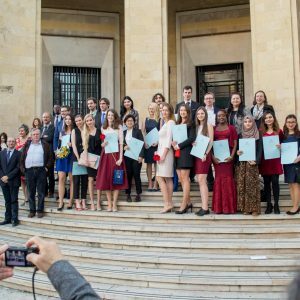 Graduation of students of academic year 2017/18, organised by partner university Universitá degli Studi di Bari Aldo Moro on Friday 26 October 2018, was successful for 31 graduates, out of which 6 students graduated with Distinction. 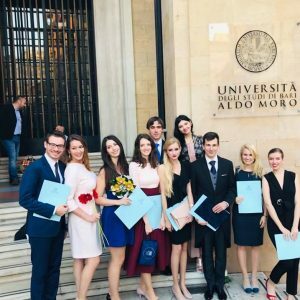 Two students received Award of Anna Klosova – for the best academic achievements and for the best dissertation. 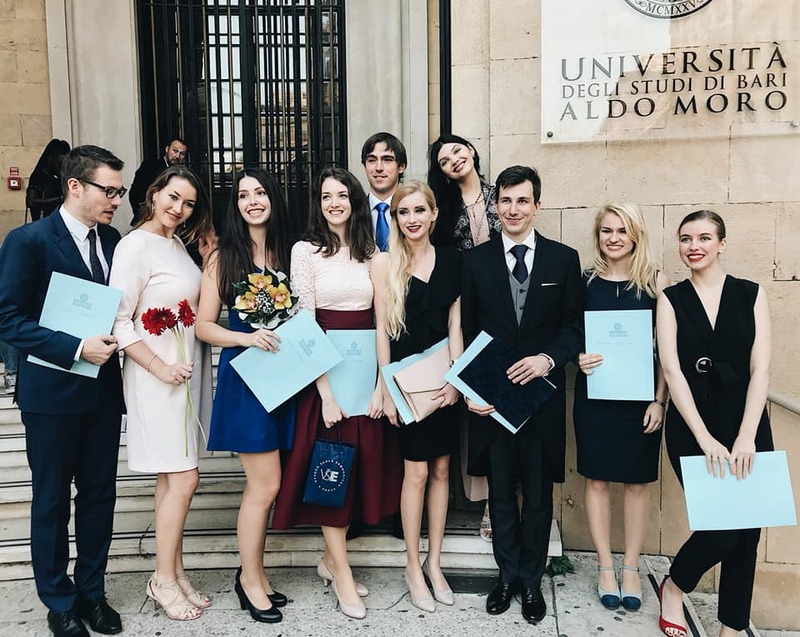 We are happy to announce that two students of VSE – Zuzana Tvrdoňová a Jakub Pešek – graduated with Distinction and Zuzana Tvrdoňová received also the Award of Anna Klosova for the best dissertation. 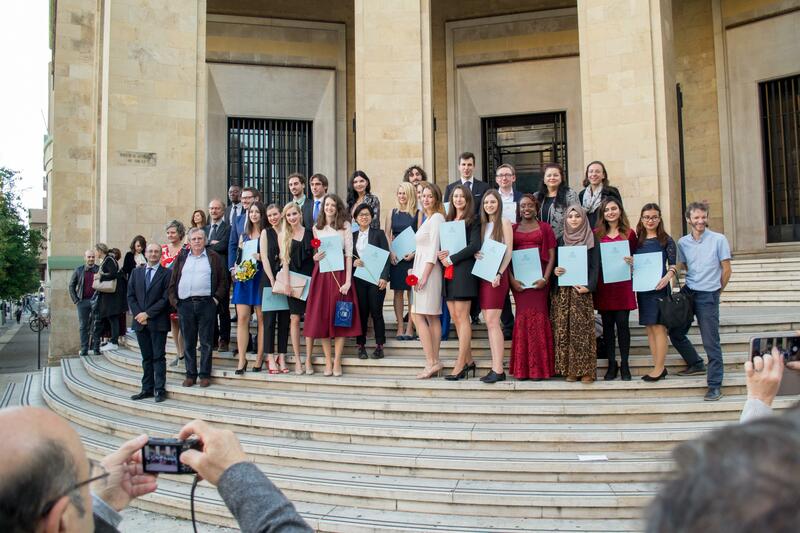 We congratulate to all students and wish them a lot of success in the future!